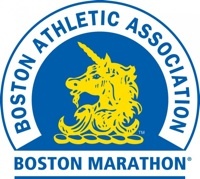 Yesterday I was accepted into the Boston Marathon. I have unfinished business with this race. It's my second time getting in but I have yet to run it. This morning I mentioned the race to my kids. My well-meaning offspring said in the very sweetest way possible, "maybe this year you won't break your leg." I need to get there. This year the race falls on April 16th - a tough day for me and for all of us at Virginia Tech. My hope is for the whole family to go to Boston on the train from Virginia. I've always wanted to travel somewhere on a train. I even have hotel reservations already. But I've been here before so I'm not jump-up-and-down excited. I'm subdued excited. Not-counting-my-chickens kind of excited. Before that, I am hopefully running the Richmond Marathon for the third time on November 12. (It's the only marathon I've ever done.) My only goal is to run that race happy and healthy, time is irrelevant. It's my first time handing marathon training over to my tri coach Jim and I'm glad about that. I trust his judgement far more than my own. He's always done a great job of reading between the lines and seeing past my personal denial of brewing issues! So get ready Beantown.....I hope to see you in April! Congrats to Kurt and Vaughan!